This eagerly awaited album is now available for immediate delivery. Please contact us for ordering this or any of his remarkable albums. 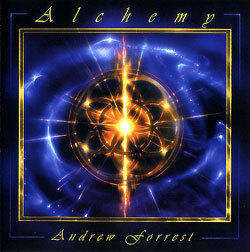 All music composed, perfomed and produced by Andrew Forrest. Recorded at Alchemy Arts studio, South Island, New Zealand, from August 2001 to September 2002. All rights reserved. "I offer with heartful appreciation, the inspiration and guidance I have received from spiritual masters throughout the ages. May your light, wisdom and love guide all souls back to the One Heart." 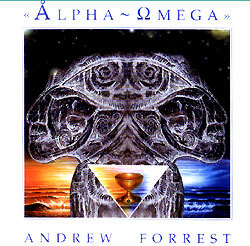 All music composed, performed and produced by Andrew Forrest. Recorded between October 1997 and April 1998, at Millennium Studio, Dartmoor, England. All rights reserved. "This music is dedicated to the Divine Self within all; may we learn to use the gift of our lives wisely." Recorded between November 1996 and January 1997, at Millennium Studio, Dartmoor, England. All rights reserved. "This music journey is dedicated to whales and dolphins ~ masters of the 3D experience. May your undonditional love, ageless wisdom and sublime songs help us to shift from the illusion of separation to the reality of oneness." 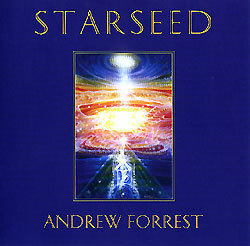 &COPY;1989-2003, Andrew Forrest. All rights reserved. Use only by permission.